Transparent La0.1Nd0.1Y1.8O3 ceramics were prepared by use of the ethylenediaminetetraacetic acid gel process followed by sintering by hot isostatic pressing. The structure and morphology of the powders and bulk samples and the optical properties of bulk samples were investigated by use of x-ray diffraction (XRD), scanning electron microscopy, visible and near-infrared reflectance spectroscopy, and study of magneto-optic (Faraday) effects. The powders consisted of many agglomerates of fine, oval particles. XRD studies of the powder and bulk sample confirmed their single-phase composition, and spectrophotometric and magneto-optical studies in the range 500–1000 nm revealed their potential for application as an optical materials. The authors would like to express their gratitude to Professor M. Bućko from the Faculty of Materials Science and Ceramics, AGH University of Science and Technology, Krakow, for allowing us to study the process of sintering of the samples by HIP. 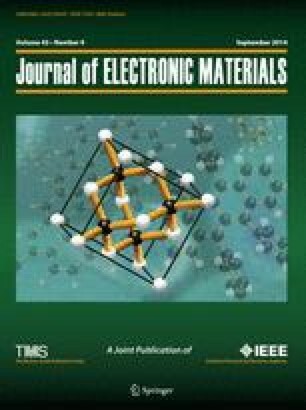 The authors are also indebted to Dr. A. Adamczyk from the Faculty of Materials Science and Ceramics, AGH University of Science and Technology, Krakow, for her assistance with XRD analysis. MM and WG are grateful for support from the ATOMIN Project (POIG 02.01.00-12-023/08).